This weekend I took part in the Wesham 10k (organised by Wesham Road Runners). 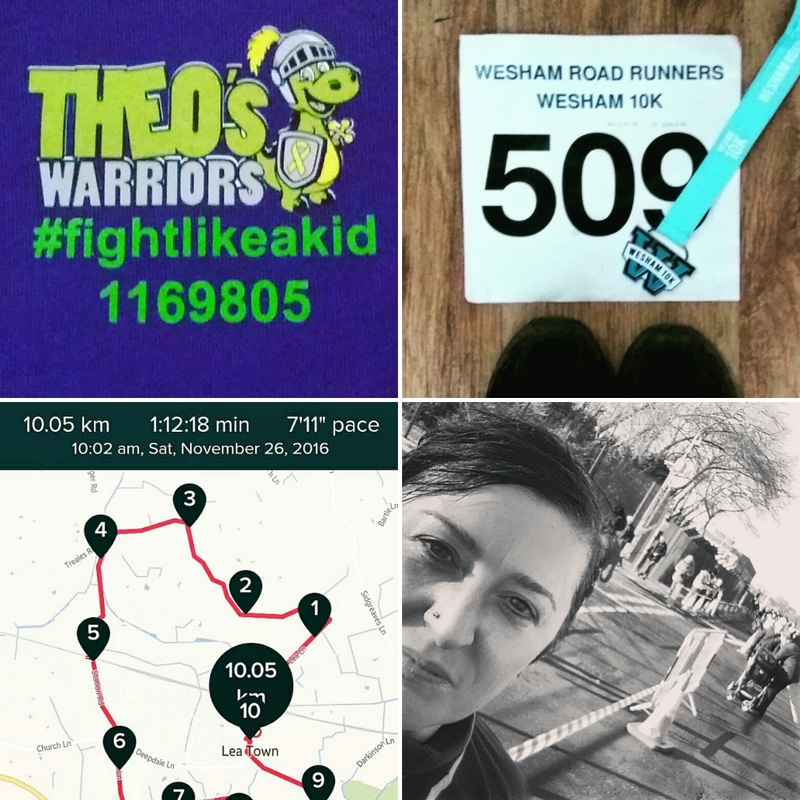 Its an important run for me to participate in as it's one where our running community come together to raise awareness and funds for Theo's Journey against Neuroblastoma. As I'm sure you know, my own daughter was diagnosed with Neuroblastoma when she was 14 months old so it's a cause that is close to my heart. As a team, we painted Lea Town and Salwick purple with our #TheosWarriors t-shirts! 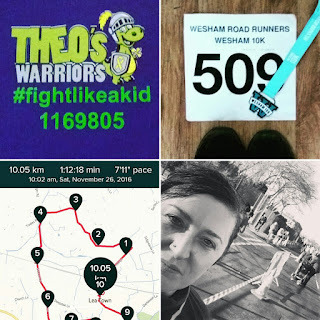 Last year I finished this course in 1:15.21 and, after my new 10k personal best time in the Windmill 10k a couple of weeks ago, I wasn't really planning on anything spectacular - just to finish the course and enjoy the run. I was almost looking forward to it, especially as the route had changed slightly - a revert back to an original course from a few years back. The day was clear and sunny but cold and it was very frosty. This course is a rural one so it was definitely going to be slippy underfoot in places. Apart from the icy bits, I'm finding that I am better suited to winter running as I suffer badly from hayfever in the summer so I'm usually streaming from my eyes and my nose and my chest is very tight. Maybe this is another reason that I'm really getting into my groove with running again at the moment? 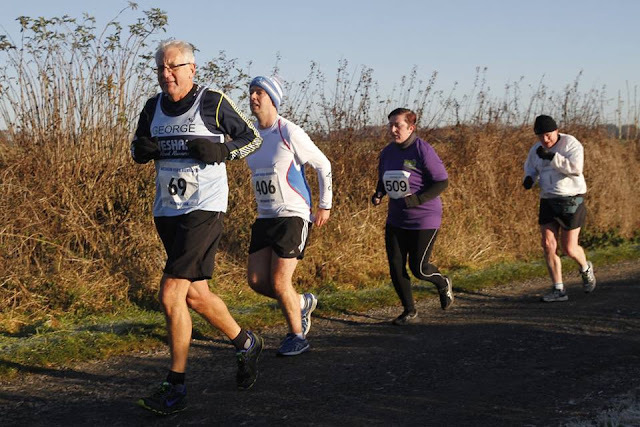 The one where the pensioner overtook me just after this photo was taken... then I overtook him during the 9th kilometer, then he sprint-finished past me during the final 50 meters. THE SHAME! So, the new course... many would describe it as 'undulating' but after pounding the streets of Blackburn, the hills in this area are like speed bumps. There was a bit of a long uphill drag around halfway into the course and then another towards the end which is a bit of a killer but I felt good all the way around. I hit my usual wall between 7k and 8k and really struggled with the 9th kilometer but I did feel very positive about the whole thing. Another Personal Best!! YES REALLY!! *faints*. I'm really pleased with my time splits too and where I thought I struggled, I definitely slowed but nowhere near as much as I thought I had. 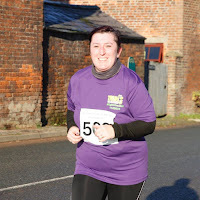 I hardly ever share photos of me running as I'm usually captured with a frown on my face and hunched shoulders, battling against the world in the least flattering way but here's one of me actually smiling (still unflattering but, hey ho) - this was at around 5k. 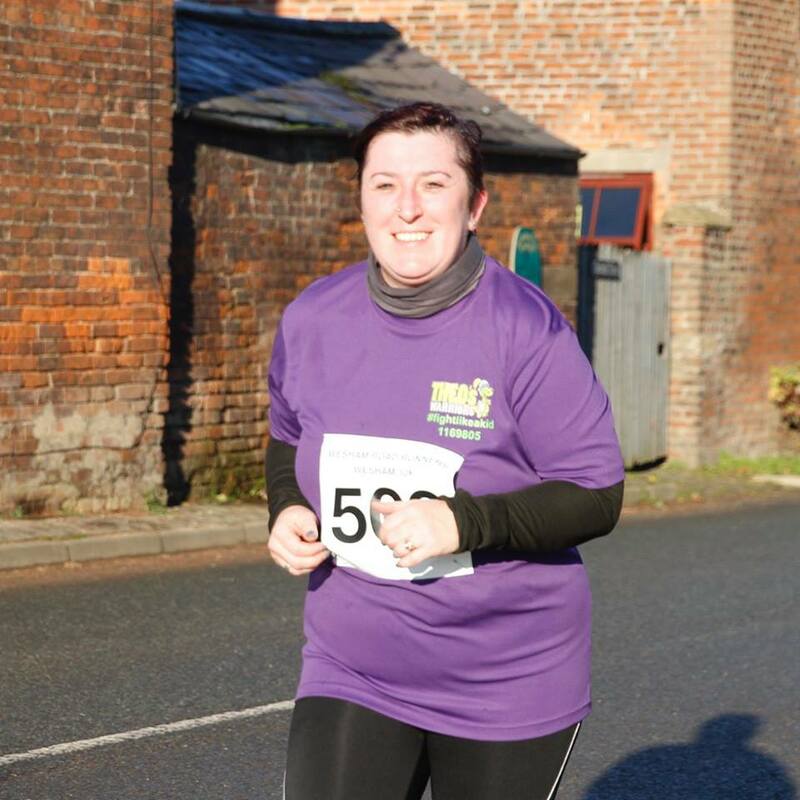 I truly believe that my run at Lytham and the support I'm receiving from my running community have everything to do with that - it's been a huge confidence boost. The training routine is different, and the pressure is taken off me as I'm not leading any running groups at the moment. I made a promise to myself to make this winter all about me and it's definitely paying off. There were many personal bests achieved during this race and some demons that took over however everyone completed and I'm dead proud of my GroupRun community and the impact they make both with running and with supporting each other in so many ways. 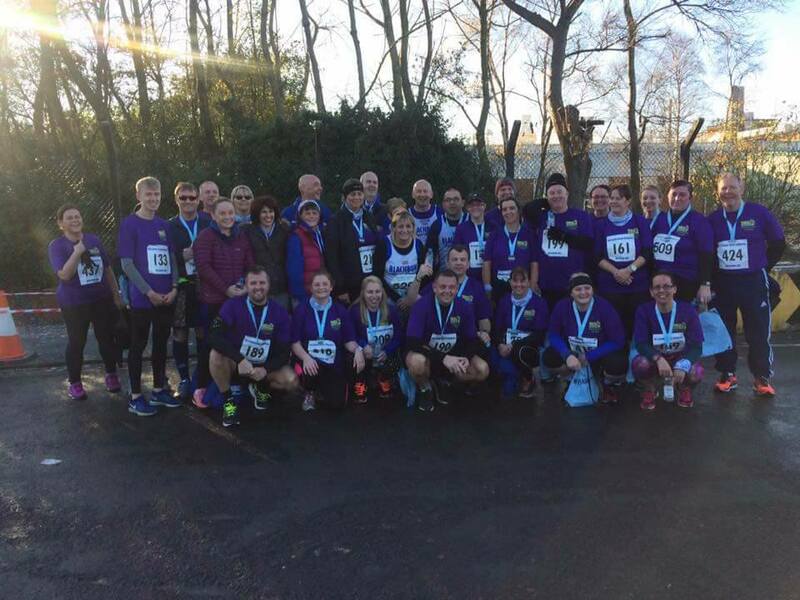 A final mention to Wesham Road Runners and all their marshals for a brilliantly supported event - same time next year, guys?